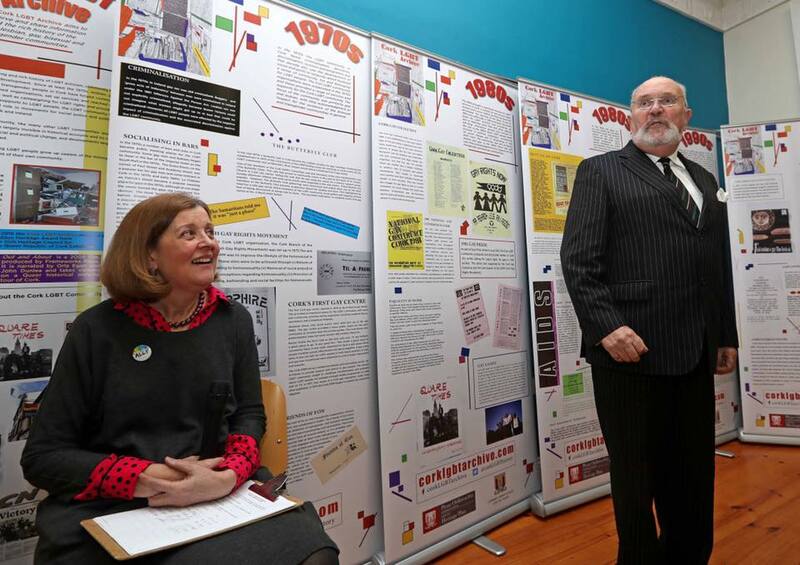 Colette Finn, Chair of Gay Project Cork and Senator David Norris at the launch of OUTing The Past LGBTQ+ History Festival Cork. Backdrop of Cork LGBT Archive Exhibition. 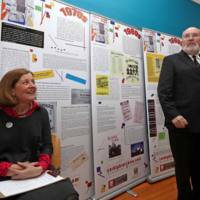 Colette Finn, David Norris,” Cork LGBT Archive, accessed April 19, 2019, http://corklgbtarchive.com/items/show/178.